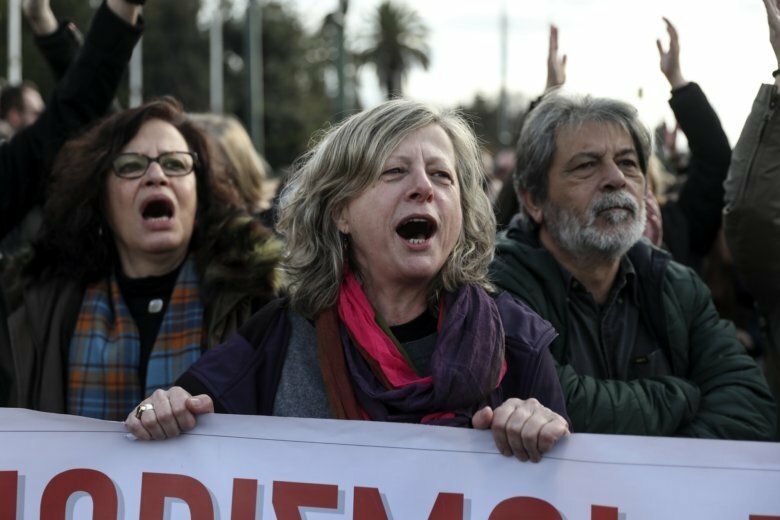 Greece’s left-wing government has promised to hire 15,000 full-time teachers over the next three years, starting this fall. Unions say the hiring system is unfairly weighted against teachers who have worked for years on short-time contracts. They also want more teachers to be hired. The umbrella civil servants’ union, Adedy, called a 24-hour public sector strike for Thursday to back the teachers’ demands, although the walkout mainly affected schools. Classes were canceled in most public schools in Athens and many were elsewhere in Greece.